For over 30 years, Paul Siebert’s quality blend of music all throughout the Midwest has delighted thousands with his unique style and a vast repertoire second to none! Along with wonderful vocals, Paul uses only acoustic instruments including the hammer dulcimer, banjo, guitar and button accordion. Some of his musical credits include four self produced recordings, performing for the Ozarks Jubilee in Eureka Springs, Arkansas, opening shows for The Platters, Paul English, Marabeth Jordan. He has traveled all across the USA and recorded with several bands including Christian rock band “Reason To Play” and the western cowboy band “The Double D Wranglers”. 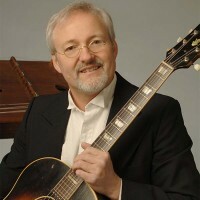 His wide range of music includes: classical pieces on acoustic guitar and hammer dulcimer, 50’s and 60’s country favorites of Johnny Cash, Hank Williams and Roger Miller, Country Gospel, to 60’s & 70’s favorites from John Denver, James Taylor, and Simon & Garfunkle. Enjoy cowboy campfire favorites from Roy Rogers, The Sons of the Pioneers and Gene Autry. His original material is full of heartfelt stories of family, childhood and growing up in the Midwest. Bringing the music close into the hearts and minds of individuals exemplifies his integrity and vision to reflect what he believes to be most important.